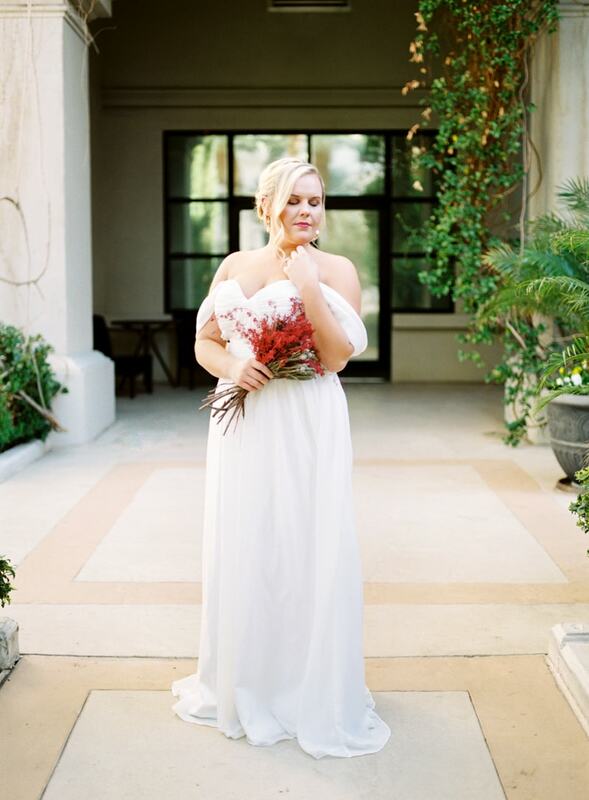 With a small gazebo behind her, this bride captivates in an off-the-shoulder gown. She complements her style with a unique updo that features soft wispy tendrils to frame her face. For an added dose of color, she carries a bouquet of bright red blooms. The empire waist gown also features a fluttery skirt that is comfortable and appropriate for this outdoor setting. 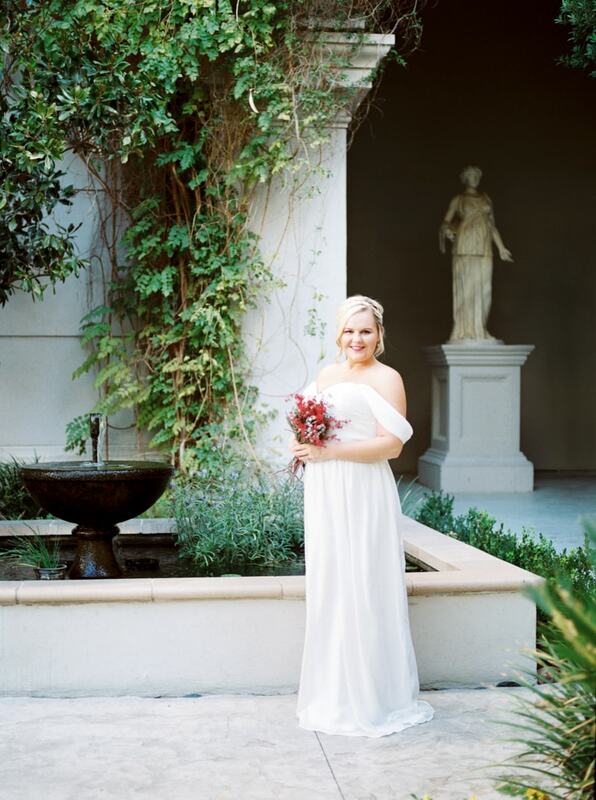 With its abundant amenities like statues and fountains, this goddess-inspired bride looks right at home in every single corner of Caesars Palace. Her rosy lips and natural makeup are complementary to her white gown and the luminous architecture of the hotel. The archway is framed with inching ivy growth that creates a sumptuous scene for this bridal portrait. 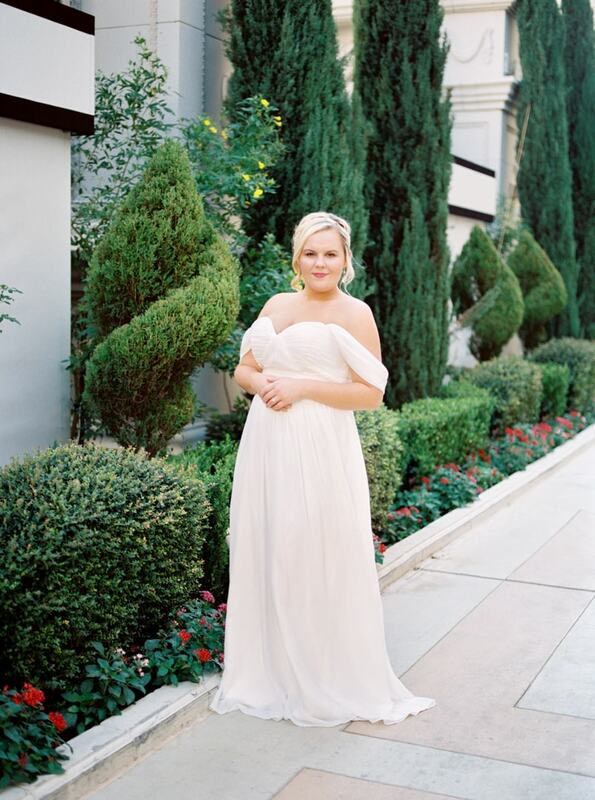 Even on the terrace overlooking much of the hotel's impressive property, the bride playfully looks over her shoulder. 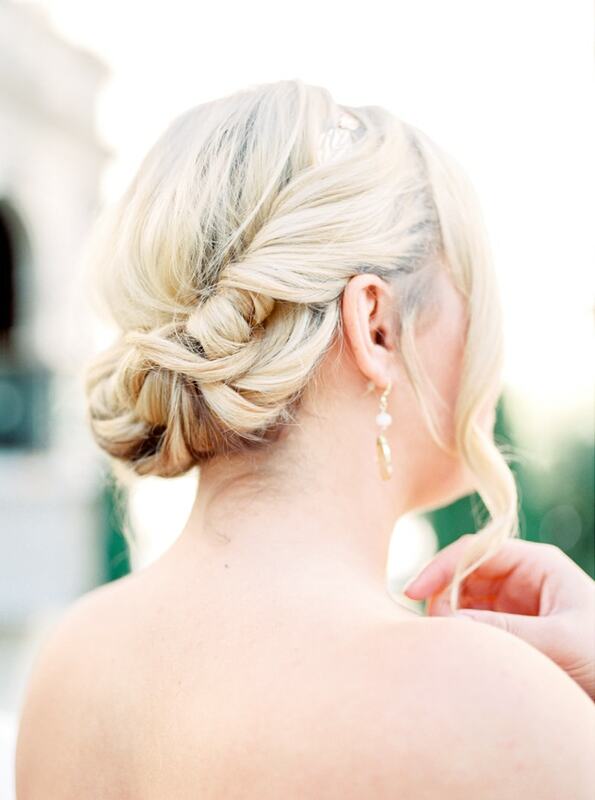 Her intricate updo is twisted and tucked in a sublime fashion. She accessorizes with statement earrings that are perfect for going sans veil. The open back of her gown is simple and the hem of her skirt pools at her feet. The lush greenery and sprawling architecture are serene and provide wonderful backdrops and natural color to this refreshing bridal session. And of course, one cannot overlook the palatial fountains at Caesars Palace. 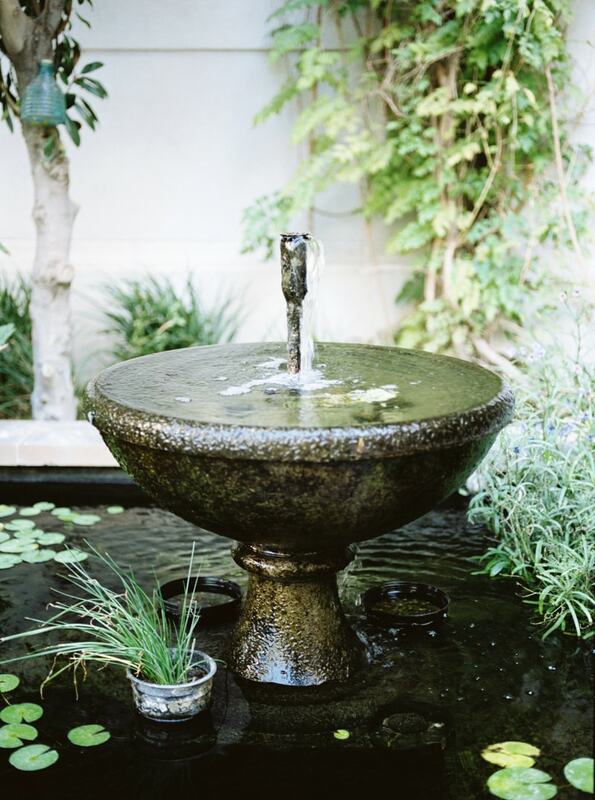 The bride takes her chance to pose next to one of its fountains as she looks off into the distance. People visit Las Vegas hoping for good fortune and fun and this styled shoot proves a memorable bridal portrait session is definitely in the cards. 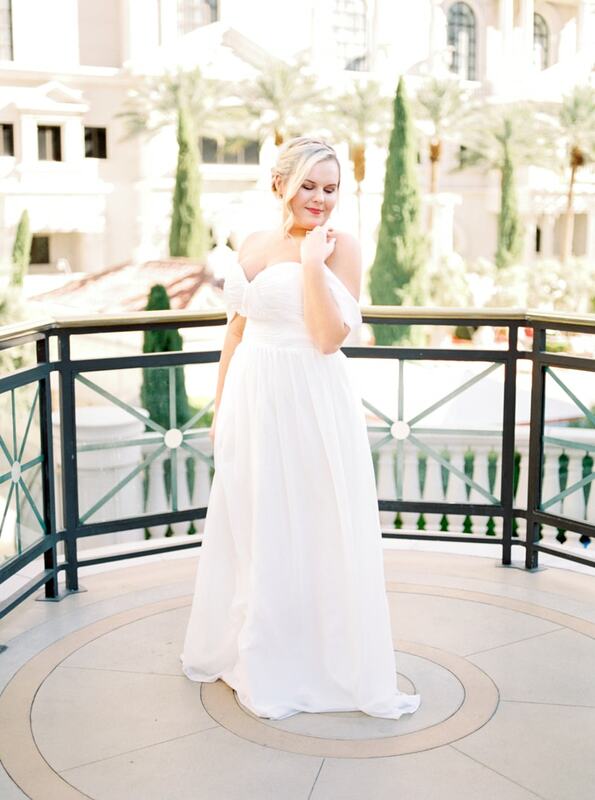 With locations such as the impressive Caesars Palace, a bride can take any vision she has and make it a dream come true thanks to the inventive atmosphere of this wonderful playground in the desert.